When school’s out busy parents find it hard to entertain the kids and get all their workload covered. But a little activity together ensures the family stays fit, builds vital family bonds and also makes a sizeable deposit into the ‘attention bank account’ meaning you’re more able to negotiate time doing independent activities having spent some time together. Here are ten easy ways to keep fit with your family! Games consoles, tablets and smartphones are gradually taking more and more of our time and if you’re using such devices you’re not using your bodies. So, at the start of the summer commit to a sensible time limit on each and rules regarding the time of day they’re used, banish them at mealtimes and have an agreed complete cut off time in the evening. Then balance how much time you’ve used tech with activities for the body including any from the remainder of the list. If you don’t have a dog yourself there is bound to be a neighbour or friend in need of some help with a four-legged friend during the holidays. And dogs need walking whatever the weather so making the commitment to someone with a waggy tail is also binding. Beg or borrow a dog at least once a week and research local walks that you may not have tried before. Walking somewhere new is an adventure for everyone and you’ll be amazed what the pedometer reports by the time you head for home. Pack a picnic in a backpack and get on your bikes to a park or nature spot that’s a good half an hour away. Eat healthily when you’re there and enjoy the view, some good conversation and prepare yourself for the cycle home. You’ll clock up a full hour on the bikes each – that’s a good 500 calories spent. The challenge you choose will depend on your fitness at the outset and the ages of your children but a simple challenge will be a great way to build strength and stamina and add a friendly competitive element to the break. 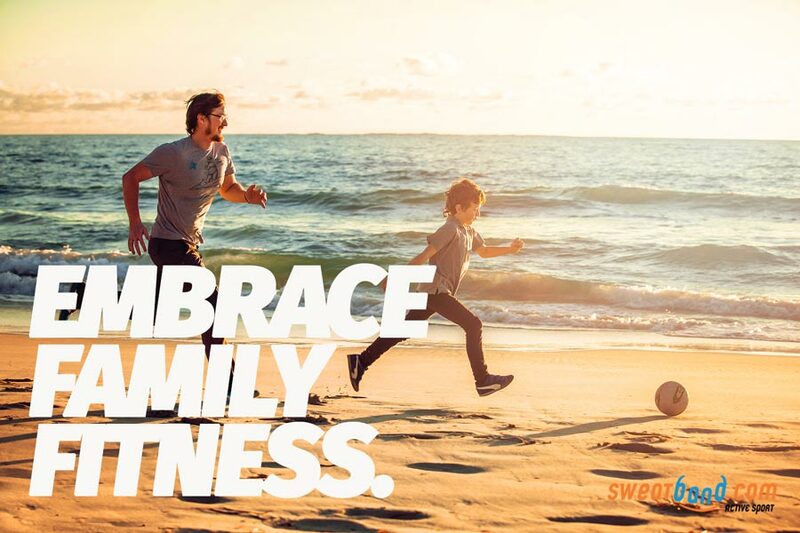 Ideas include who in the family can hold a plank the longest, who can run ten times round the garden quickest, who holds the record for keepy – uppy. Create a chart and nominate a day of the week that you ‘Rise to the challenge’ and record the times, speeds, reps as appropriate by every family member on that day. In between challenge days everyone can practise and add additional exercise to help them improve for the next test. You can build in handicaps by age and award prizes at the end of the break for the overall winner, most improved and most dedicated family member. With social media there is no excuse not to be able to get a wider circle of family and friends together for an informal sports event at your local park. All you have to do is create an event and as the saying goes…. people will come. Rounders, races, a mini tennis tournament are all low cost activities that can keep you fit and challenged and appeal to all ages and both sexes. Through social media you’ll be able to borrow and blag all the equipment you need. Just make sure courts are booked if you’re booking them and that no official events are happening in the park you choose when you’re planning your informal get together. 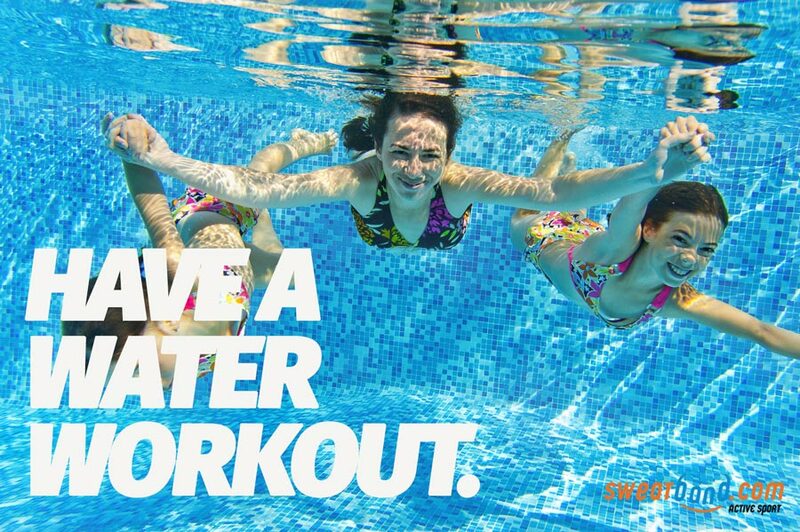 A family trip to the local swimming pool is always great fun and if you’re lucky enough to have an outdoor pool near you and the weather’s good that’s even better. But resist parking yourself on a sun lounger with a good book in favour of launching yourself into the water with a big splash. Take lilos for ‘speedboat races’ where one lies on while the other paddles him or her a full length in competition with one or more other speedboats. And if the passenger falls off you’ve got to start again! In so far as is practical see if you can hide the car keys for a week and rely on your bodies instead. Walk to the shops, cycle to friend’s houses and scooter to the park. This may be a logistical challenge too, but if you’re able to commit to you’ll be amazed how creative the kids’ suggestions are and how resourceful you become as a family. Devote at least one weekend in the summer to having a thorough house clear out. A houseworkout burns 165 calories an hour and is a great way to detox the home and the head. Ebay, give away, donate and bin everything you no longer need as appropriate and vigourously clean the house together until it’s spotless. It will be the most rewarding workout of the year. Give everyone in the house the chance to cook healthy for at least one day during the summer break. Give them the brief of creating three healthy meals along with snacks for between them. Allow them to plan healthy menus, buy the necessary ingredients, and take responsibility for preparing the meals and cleaning the mess up afterwards. If having the children at home means you can’t attend your usual class, see if you can find an alternative on YouTube and run the class with the kids. This may need a little creativity. If, for example, you’re missing spinning a little air cycling to a YouTube video will burn lots of calories and bring on lots of laughs.